First meal of the trip…. airplane food! Since we were only there for a few days. 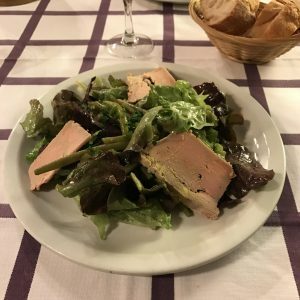 I got to try only a handful of the French dishes that I wanted to. 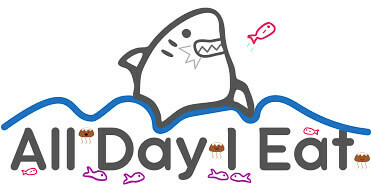 You can only eat so much each day. So, ready? 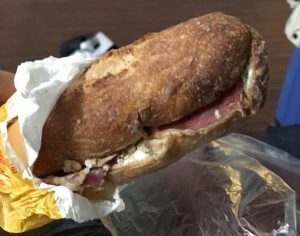 Let’s take a look at all the food I ate on the trip… First meal was on the plane. Yup! I make sure to request a vegan or vegetarian meal since they are supposed to be a little better than the regular food. 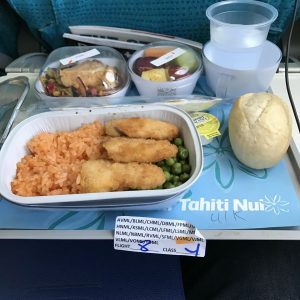 I’m not so sure I would say that for Air Tahiti, but for other airlines I think it’s true. For this meal, the fake ‘chicken’ was quite close to the real thing in terms of flavor and texture, but everything else was just meh. We arrived around 6 am at the airport. We took the train downtown and subway to the hotel. Immediately went out to get breakfast. Crepe Avenue was the closest and seemed the most appealing. When we got there it was just about full and were lucky to be seated right away. The clientele seemed mostly French from what I could hear being spoken. 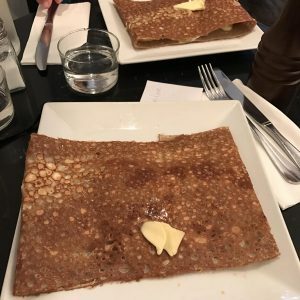 We ordered two savory crepes and both were quite savory and filling. The top had steak and bottom was made with eggs and cheese. Cream puffs somewhere in Saint Germain. Vanilla, caramel, and chocolate. Very small shop in a residential neighborhood. Pretty tasty!! Somehow we managed to wait too long before trying to find a place for dinner our first night. Before we knew it, it was already 8pm and the places we wanted to eat at had long waits or no reservations available. We ended up settling for this mom and pop place. The place is tiny and it’s like eating in someone’s house really. Wife does the serving and husband does the cooking. Food was aight, I wasn’t blown away and it wasn’t bad either. I think people come here for the experience. Below was beef bourguignon and coq au vin. We also had olives to start, house wine and two cakes to finish!! She gave everyone a few souvenirs to take home too. Read the reviews thoroughly if you are considering coming here. I didn’t read them at all and was in for quite a surprise. We made two attempts to eat here. The first time (Saturday night) we showed up with no reservation and were turned away, since it was full. But the next day we made a reservation for another night. The day we ate there (Monday), we were the first to be seated. By the time we left the place was packed (again). We did notice that the crowd was very different. I heard only French being spoken the first time we visited. But the night we ate there, lots of American English! Go figure!! Anyways, the food was great and it’s a family run place, so it has a cozy vibe. Everyone that reviewed it said the portions are big, and they’re weren’t exaggerating. It was a lot of food. Mains- Sausage with potato salad (top) and Cassoulet (bottom). Very big portions and that mustard was bomb! 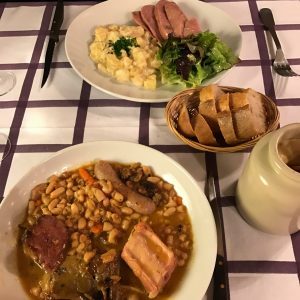 The cassoulet was rich, salty and full of meat. It’s really enough for two people I think. Also, if I were to return, not sure I would choose the sausage. To me, it didn’t stand out as anything special. It did have pistachios in it, which is unique I guess. Tarte Tatin with a vanilla bean whipped cream and Creme brulee. Both were extremely sweet and well done. 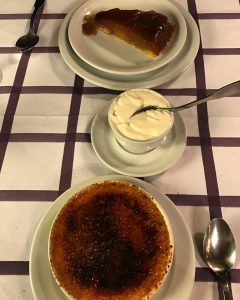 The creme brulee was massive and again could have been enough for two-three people to share. Colorful and delicious. We tried 3 different places in this order. The last – Pierre Hermes was our favorite. Perfect textures and unique flavors. 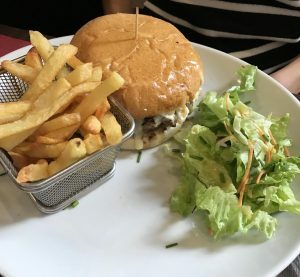 We had one of their burger specials as well as their steak tartare. Both were extremely good. 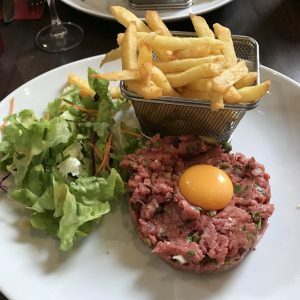 It was my first time having steak tartare so can’t compare it to anything, but if I was craving meat it’s a nice alternative to a burger. 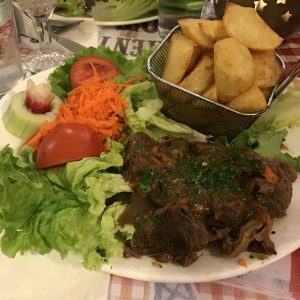 This place might be a good option if you are craving beef and if you are looking to get out of the touristy areas. It’s located in a nice residential area and when we went for lunch it was filled predominantly with locals. We got ice cream at one of the highest rated and most popular ice cream places in the city. The scoops were tiny. Maybe about the size of a child scoop in the states. Flavor was okay. But I wouldn’t seek out this place next time, even if I were really craving an ice cream. Not impressed, especially after all the great gelato we had in Italy. This was an okay meal. I picked this restaurant since the menu seemed interesting. Not sure that I would return. The food was average. Also, if you look in the pics you’ll see a lot of space on the plates. My first impression when the entrees arrived was that the portions are small. Would have been nice to have bigger servings or smaller plates. We did not leave completely full after eating here. This was the amuse bouche. 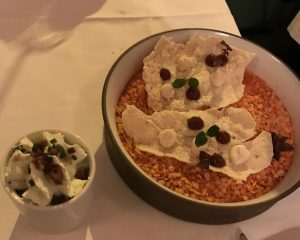 The left was a savory whipped cream with crackers that had little dots of sauce. This was a chicken with squash puree and stuffing in the middle. I forgot what the black stuff was though. 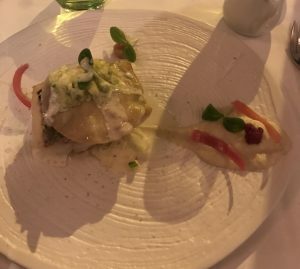 This was some sort of a white fish (might have been bass), with a cucumber cream sauce, fennel, and pickled onion. Almost like a fish taco but without the tortilla. 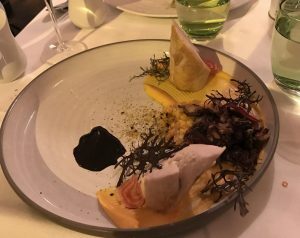 Our meal of the trip was at Le Cinq. We had their ‘4-course lunch’ which in fact turned out to be over 10 with all the different pre/post dishes that came out. By the time we were done eating we were stuffed. The good thing is that they said it takes about 1.5 hours to finish eating and it did! Check out this post to read the details. Thank you for the note!! ? 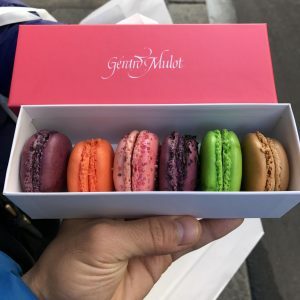 Fun to watch you eat your way through Paris!! Like you practical tips. 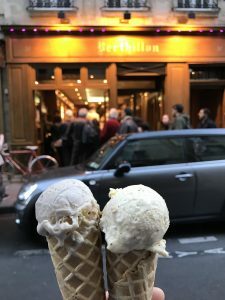 We lived i Spain for 12 years and made a few trips to Paris– but the only place we overlapped was Berthillon. I agree, small scoops. But beautiful interior and you can eat your ice cream walking through that ancient neighborhood. And you’re in Paris– so we thought is was pretty great! Off to read more about our trip! Spain for 12 years? jealous! maybe one day i’ll have the chance to live there too. It sounds like you’ve traveled a lot! We’ve driven through lots of Europe and then our son lived China after school for 10 years, so we’ve been there many times. I’d love to be rich enough to travel all over the globe!! I’m sure you’ll get to Spain sooner or later– a beautiful place– with great food! take care. Nice posts, Pat! Great pictures! 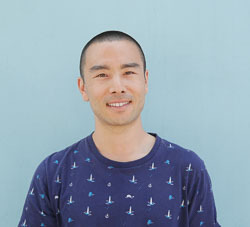 Thank you for sharing your feelings on the places you ate at. (And I agree on the plane food; we found that vegetarian meals are “safer” for my husband, usually less additives and preservatives in them). 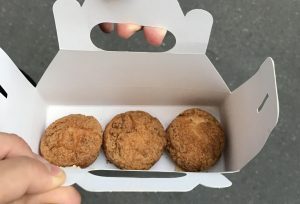 But the “choux” look flattish to me, did they get squashed in the box? Even my gluten-free choux come out better than that, and God knows I’m no expert ! thank you Joelle!! Im not sure, they brought those out separate from the meal trays, and it didn’t seem smushed , maybe its the pic! 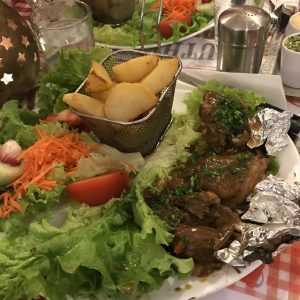 This makes me want to fly back to France ASAP✈️ and try all that food?? thank you Beline, meee too!! 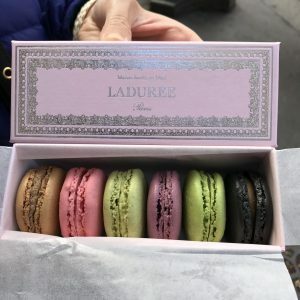 The picture of macaroons caught my eye. I was at Sam’s Wholesale Club last weekend and they had samples of macaroons that looked like your picture. I am sure they were not as good, but to an untrained person like me, they were really good! I was just at Trader Joe’s yesterday (but didn’t see your comment until today!) I love to browse the aisles at TJ’s to find something new to try. 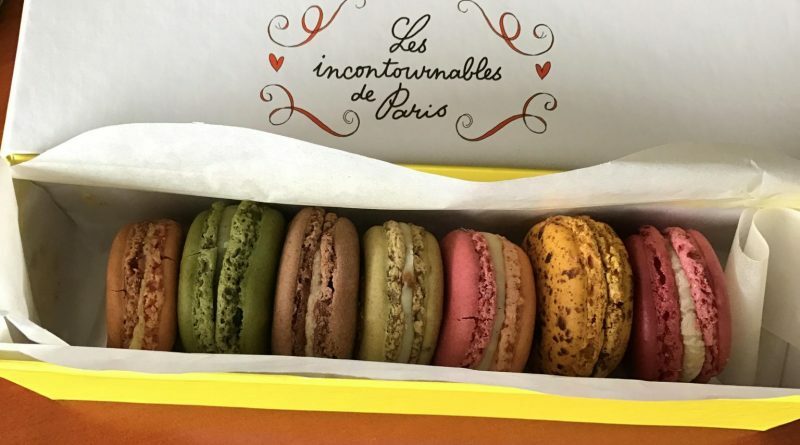 I will look for the macaroons the next time I am there. Thanks. 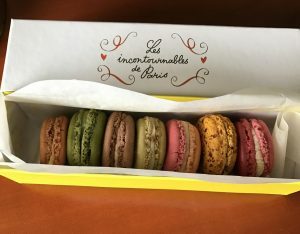 i forgot to mention, they are made in France so even better!! i always tell people to check the labeling. when ever a product is imported the quality is much better than when its made in the US. especially when it comes to ethnic foods. e.g. products of Peru, France, India, Mexico etc. i recently got a jar of Harissa from Africa there. it is so spicy!! 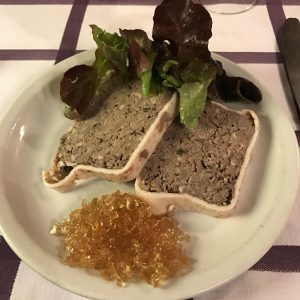 France totally rocks the food world – free range grass fed animals – laws for bread – & never had a bad bite the whole time I visited. 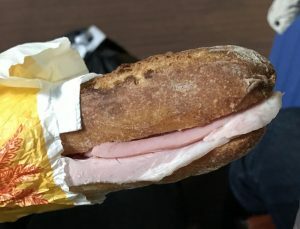 Truly the best bread anywhere. Oooh la yum la yum! yes!! and my struggle continues to replicate that bread!! “Free range grass fed animals”… unfortunately not all cattle here in France is raised that way. My brother’s cows are! (Well, most of the time except in winter). It is important to know what animals are fed, it makes a difference in taste but also in health: I worry about the common use of hormones (in theU.S.) and antibiotics (here in France). totally agree that transparency is better!! when I visited France several years ago, I was cheered to see even pigs running about! I LOVE FOOD! BUT I LOVE DESSERTS MORE AND ESPECIALLY CREPES. So much food. Great photos. 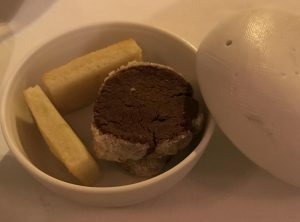 The french foie gras, the tartare and macarons – I think I could live off of that for the rest of my life! All of that looks ah-mazing!!! I want to book my trip now! I was in France last year. The food was absolutely to die for. I enjoyed the crepes, macaroons and some great cheese,wine and champagne. I loved Paris! I actually also went to the South of France. thank you Divine, i definitely need to go back to visit the other parts of the country, there is so much to see! Wow! this is spectacular. 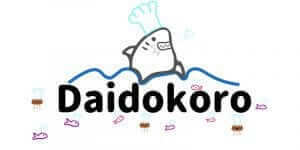 This is the best of French food presented so tantalizingly in your post. Loved it, hope could a taste of this. Holy food… wow. Never been outside of US and Italy seems lovely… lots of great food. Sadly, my concern is always… I’m a picky food eater but why do I love almost ALLLL desserts? lol Oh and no way on the tartare, I love my meat but not mooooing back at me. GREAT displays, thanks for sharing your excursion! The food looks amazing! Great photos! Yum! I’m looking at these pictures and getting hungry. Drooling over the pictures from Il Etait un Square. Time for a trip to Paris? 😀 By the way, thank you for the heads-up about The Fork – I’ve never heard of this app before, but I’d certainly would use it! That all looks amazing but mmmmm, Macarons, my favourite! thank you Jenni! me too! Wow! All of that looks so extravagant. This makes me want to run to France right now.